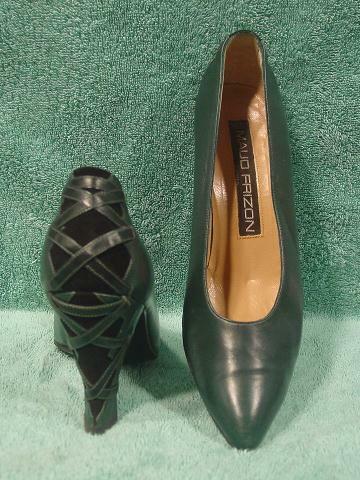 These dark green leather pumps are by Maud Frizon Paris. 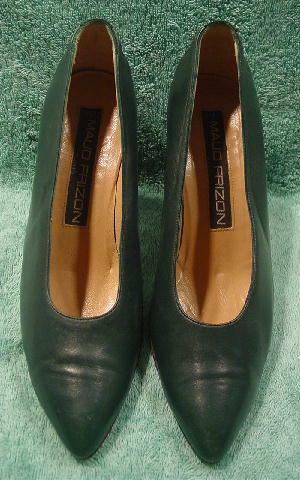 They have pointed toes and sandy-tan color leather linings and insoles. 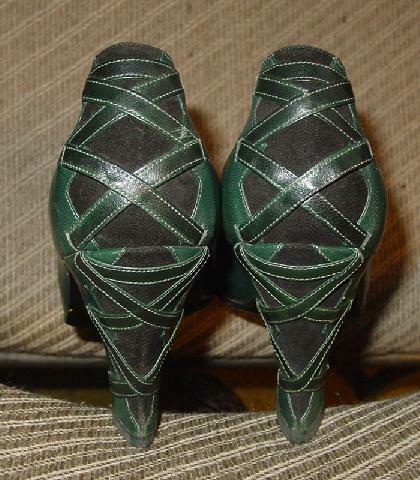 The back of the foot heel and shoe heel have black soft suede panels with green leather crisscross straps. They have leather soles and new black rubber heels. The soft leather has some wrinkles and the sides (near the back) have some scuff marks. 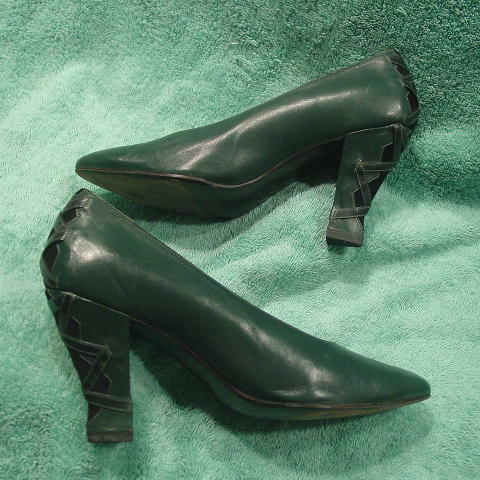 They were worn in several magazine photo shoots and a movie.